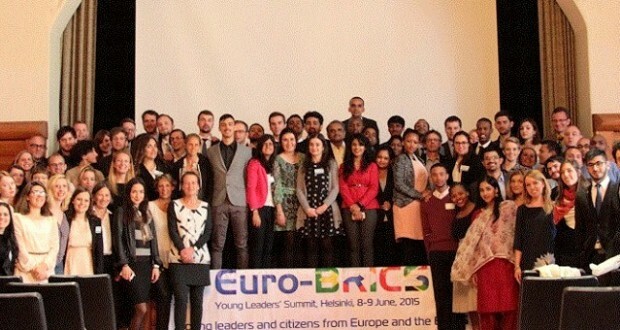 The 5th Euro-BRICS seminar and the Euro-BRICS Young Leaders’ Summit took place in Helsinki last June 8-9. The event has been an amazing success, with more than 110 young leaders and experts from European and BRICS countries discovering each other and discussing the challenges of the the XXIst century multipolar governance, with aims such as: Peace, Democracy, Modernity, Mobility, Sustainability, Innovation, Diversity (you may get a glimpse of their energy by watching this short video of the event – prepared by one participant). Close to 500 young leaders from BRICS and European countries applied to participate in the event. 50 young leaders were selected by the members of the organizing committee to take part in the first Euro-BRICS Young Leaders’ Summit. In total, more than 70 European and BRICS delegates from at least 20 different countries contributed to the enormous success of this event. Some 40 “senior” participants joined the event too, including diplomats, academics and professionals from European and BRICS countries. They have contributed to the 5th Euro-BRICS seminar, which was held in the framework of the Euro-BRICS Young Leaders’ Summit. The official Booklet of the Euro-BRICS Young Leaders’ Summit including the full programme, list of participants and partners of the event.